When I thought I couldn’t relate more to Khai, but I ended being surprised as I see myself to Khai as I turn the pages. The Bride Test by Helen Hoang is the book that I’ve been looking for ages. The book that will speak to me as I could see resemblances of traits where I could see myself. I am writing this book review in a guy’s perspective and one of the things that a guy could think of is not being enough — not experiencing things when people around him, around me, already experienced it. The internal battles and the deflated self-esteem is surreal. Khai wears black clothes all the time. I wore a lot of shades of black. Khai doesn’t want to be touched. I don’t want to be touched as well. There’s more traits, personality-wise, that I could relate to Khai more than I could think of. Just for a little confirmation: I don’t have autism but I could relate to Khai completely. And you know what’s the best thing is? I never knew that I would see myself in this book. I never knew that I needed this book until now. I never knew that there will be a book that I will love more than The Kiss Quotient. Without a doubt, it is The Bride Test. As much as I’ve said it above, I could personally relate to Khai. He likes calculations. He is reserve. He wanted to be alone. He is not fond of relationship. He does what he wants to do and he knows what he wants. He wanted people to be straightforward to him. As everything resonates to me. This book resembles, not all, but mostly in some aspects, in some mindset that Khai is my alternate fictional persona. And I’ve never seen myself so understood, so validated by a book. And I didn’t expect to see myself, to actually see my personality, to be able to relate in so many ways, in a book. 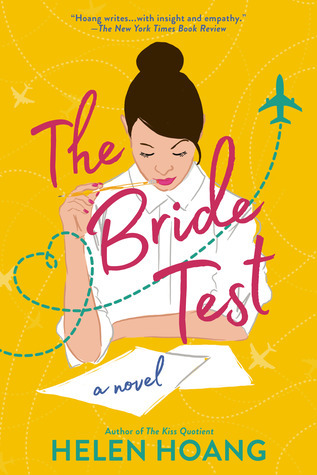 The Bride Test is a novel that will test your love for yourself. As Esme proved that you should love and be kinder to yourself because that is what you deserve. Khai let us see that, often, people could be misunderstood. As I have been. 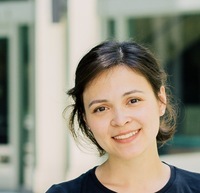 Esme taught us that you shouldn’t judge a person nor conclude without knowing their story. There are so much more to a person than what we see and it is a remarkable trait that I come to love of Esme. THE BRIDE TEST IS FOR ME. THIS BOOK SPEAKS SO MUCH TO ME. I DIDN’T KNOW THAT I WAS KHAI — THAT I AM KHAI. In 2018, I ended up loving The Kiss Quotient. That book was everything to me but I know for a fact that The Bride Test is my everything this 2019. For the first time, I saw myself in a book. Another thing that I appreciate about this book is that Helen is breaking stereotypes again and I can’t help to love her and her books more. Even Khai’s perspective in love, in marriage – I feel that I am reading a story about myself. What really made me fell in love with Helen Hoang’s books is because of how she breaks the male stereotypes. A lot of times, I rarely see a book that focuses on males who are passive. Like my personality. A lot of times, I rarely see a book where I couldn’t relate to the male protagonist but with Helen Hoang’s book. In some glimpses, I see myself and with The Bride Test, I feel transparent. We have been talking about books about representation, about own voices, about diversity but my major take with this book is how I could relate to a fictional character so much that I wanted to cry. Not because of how wrenching or painful the book is, but because Helen is breaking boundaries! The Bride Test is a book that talks about love, passionate and innocent discoveries of insecurities, exploring sexuality, and being empathic to be able to understand a person. This book is teaching that it’s okay to be different. That it is okay to like things that are not common for males. That it is okay to choose the things, the passion that made you happy the most. Great review! I have an eARC of this one, and I can’t wait to get to it.